In the last article, we talked about the reasons why some people lack medication adherence to their prescriptions. 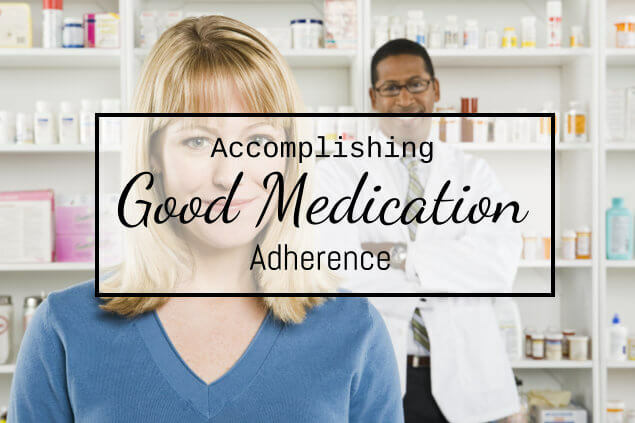 Eastern’s Pharmacy, an unfailing pharmacy in Seattle, gives you these tips on how you can accomplish good medication adherence for you and your family members. Most organized people keep an organizer, a calendar, and a daily journal, to keep them reminded of what to do next. This can help mostly aging adults keep up with their respective careers without the risk of losing contact with your medications. If you are taking medicines individually, keep at least one container of it so that you know what you are going to buy in your chosen quality pharmacy in Seattle. For people with complex medications, it is better to have a multi-dose package of your medicines or a box containing all the original medication sachet/bottle/ container for assurance and accuracy of your medicines. If you are staying in your office, maybe you can place a post-it note on your computer, pen holder, drawer, study lamp, fridge or wherever you usually go to so that you would easily be reminded. You can also ask your home health care aide to help you with medication reminders too. Your mobile phones can help you be reminded with your medicines. Given that you have already adjusted to your medicines’ taste and appearance. The only problem here is on how you can remember on taking them. The computer, alarms on your phones can be of good use. You can call and ask one or two of your family members (who have good memory) to remind you with your medicines. This can also improve family members’ bond with each other given that you have to check up on each other. A quality pharmacy in Seattle provides a multi-dose package for you to make it more convenient in your part when taking the medications. A multi-dose package contains the time and day indicated in different colors to make it easier for you to easily know what medicines you should take. Eastern’s Pharmacy is the ultimate pharmacy in Seattle for you and your loved ones. Call us today at this number 206-622-6094 or visit our website: www.easternsrx.com for more information. This entry was posted in Pharmaceutical, Pharmacy and tagged medical drugs, pharmacist, pharmacy in seattle, supplements. Bookmark the permalink.